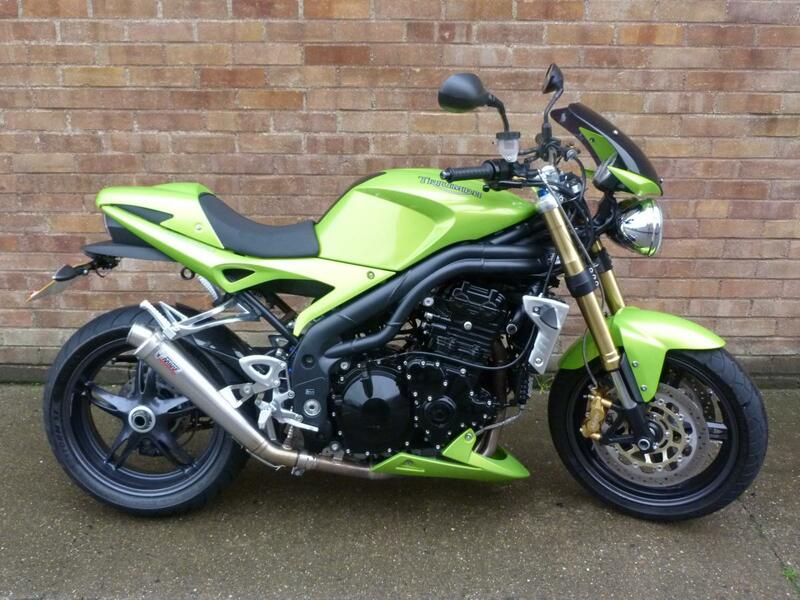 Here for sale is a 2007 Triumph Speed Triple 1050 with only 12,270 miles on the clock. This Stunning machine cannot be missed in the awesome Roulette green colour scheme! The bike has a Full Service history and comes with loads of paperwork. It has been fitted with some nice extras as well like a Mivv exhaust, tail tidy, seat hump, carbon rear hugger, belly pan, short levers, dark screen and radiator guards.